This particular set is designed for the Roden kit. It will allow the modeler to build the standard or the later version of the aircraft. 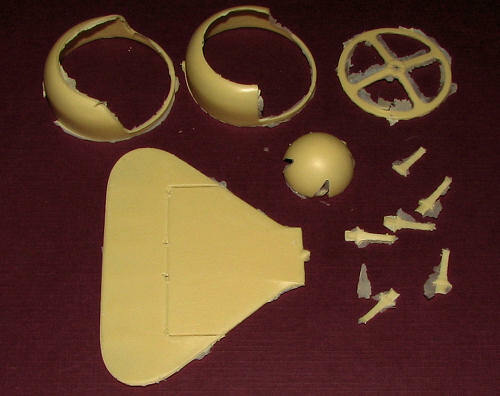 The set includes two cowlings, a cowling brace, spinner, rounded tail plane, and engine braces. The set includes full instructions and some background information. As the airframe underwent constant change, it is up to the builder to decide which parts are appropriate for the aircraft being modeled. The resin is well formed with no air bubbles or any other glitches. Simply remove the fine flash and smooth the edges.